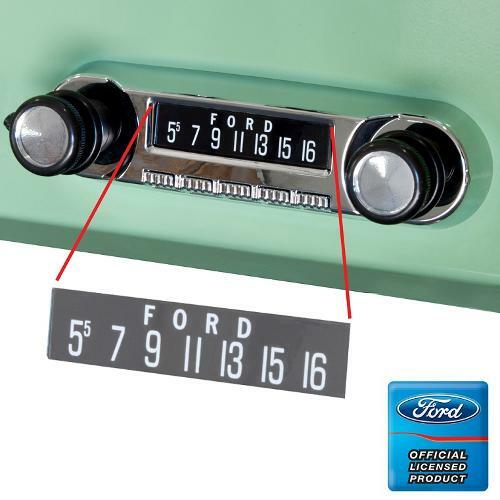 3-pack of FORD Screen Protectors for #0996B OE Style Custom Stereo. These screen protectors are licensed by Ford Motor Company and are sold in a pack of 3. Peel and stick over the LED Faceplate to look like a natural AM Radio dial. Has FORD letters above the dial marks.